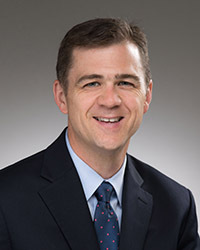 David Campbell is the Packey J. Dee Professor of American Democracy at the University of Notre Dame and the chairperson of the political science department. His most recent book is Seeking the Promised Land: Mormons and American Politics (with John Green and Quin Monson). He is also the co-author (with Robert Putnam) ofAmerican Grace: How Religion Divides and Unites Us, which has been described by the New York Times as intellectually powerful, by America as an instant classic and by the San Francisco Chronicle as the most successfully argued sociological study of American religion in more than half a century. American Grace has also received both the 2011 Woodrow Wilson Award from the American Political Science Association for the best book on government, politics, or international affairs and the Wilbur Award from the Religious Communicators Council for the best non-fiction book of 2010. Prof. Campbell is also the author of Why We Vote: How Schools and Communities Shape Our Civic Life, the editor of A Matter of Faith: Religion in the 2004 Presidential Election, and a co-editor of Making Civics Count: Citizenship Education for a New Generation. As an expert on religion, politics, and civic engagement, he has often been featured in the national media, including the New York Times, Economist, USA Today, Washington Post, Wall Street Journal, Time, NBC News, CNN, NPR, Fox News, and C-SPAN.